Some of us have it, some of us don’t. You may not have it now, but you can just as easily develop some by tomorrow. It’s just nature’s way of creeping up on you with a pretty nasty surprise. And while there’s no cure for it yet, one thing you can do is prevent them from developing or reduce their appearance. 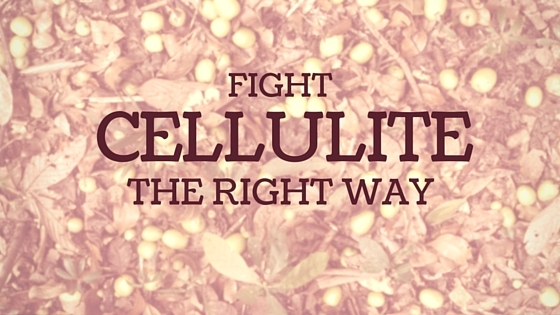 But first – what is cellulite? You can be a bit on the chubbier side or you can be extremely skinny. Cellulite doesn’t choose! It is bumpy skin on certain parts of your body – particularly your thighs – which is caused when fat presses up against your vertical connective tissue. These surround fat cells under your skin and therefore create a bulge that results to that dimpling effect on your skin. We know you’re so tired of hearing this. But yes, it’s a must. And obviously, it’s key to a lot of good things for your body. Eat food that will help you flush toxins out of your body such as whole grain and fibre-rich food. Lots of fruits and veggies won’t hurt either. Go for exercises that target your areas that have cellulites. Squats can do wonders if done properly! Want a faster, more intense way of making those fat cells suffer? Go for Impulse Training. At Impulse Studio, you wear a suit that has pads that emit pulses – making each squat much more intense. It also activates the cells on your thighs! Increasing your water intake daily will help your body shed its excess fat. Yes, including those inside cellulites! Use a body scrub with caffeine as an ingredient regularly. It will help you break down the fat cells and tighten the skin around it. The best part? It only takes a few minutes in the shower and your skin will feel so smooth after! Stimulate those fat cells by massaging them. This can break the fluids beneath your skin down and will result to a more even appearance. Be it serum or lotion, make sure you hydrate and firm up your problem areas. But do remember that these products will never work by itself so don’t just slather it on and expect it to work ASAP. Hit the gym! Previous Post WHO: Processed meats and even red meat may give you Cancer. What do we eat then? Next Post Exercising: Should you go bare foot?